Federal and local lawmakers converged on USC to announce another $2.5 million in funding for a partnership designed to stimulate aerospace and advanced manufacturing industries in Southern California. The city of Los Angeles and USC last year successfully secured the federal designation that gave the region preferential access to $1.3 billion in government funding. Last year, the USC Price School Center for Economic Development partnered with Los Angeles Mayor Eric Garcetti to lead the effort to compete for the federal designation. The resulting partnership, the Advanced Manufacturing Partnership for Southern California, brought together aerospace businesses, the Jet Propulsion Laboratory, community colleges and universities and government entities from Los Angeles, Ventura, Orange and San Diego counties. 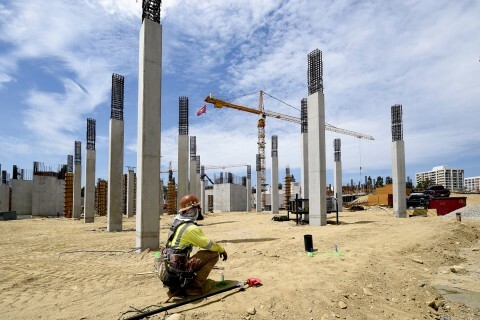 The project is one of a number of USC developments planned to spur economic development in the region. 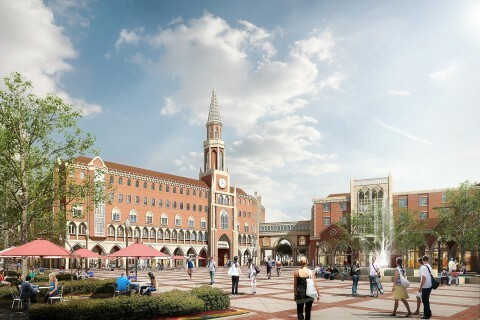 USC Village, a $650 million residential and retail project, is slated to open in fall 2017. 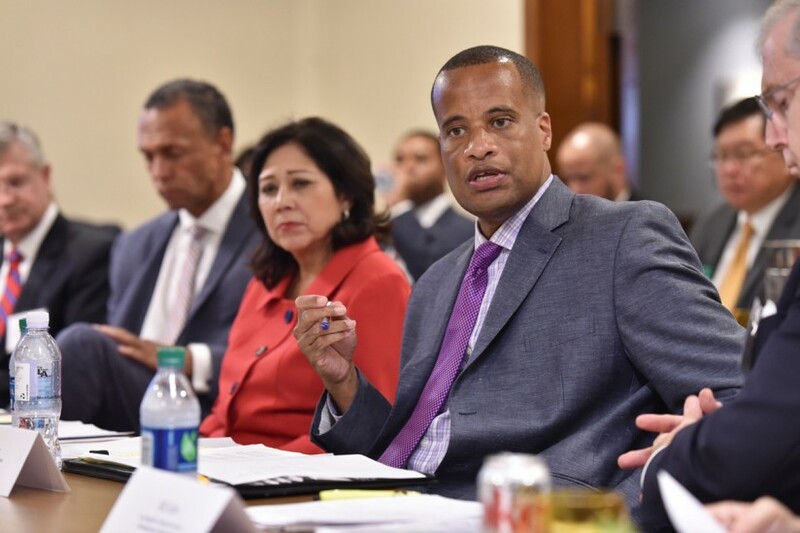 On July 8, local lawmakers and policymakers, including Los Angeles County Supervisor Hilda Solis, Los Angeles Deputy Mayor of Economic Development Kelli Bernard and Compton Mayor Aja Brown, were among those who joined U.S. Assistant Secretary of Commerce for Economic Development Jay Williams for the announcement. Williams led a roundtable of business, government and higher education leaders to discuss the future of a biotech corridor near the Health Sciences Campus. Participants, including Solis and Los Angeles Chamber of Commerce President Gary Toebben, discussed how a cluster of labs and offices would help cultivate businesses that bring breakthroughs to market and create additional jobs — from lab technicians to researchers — in Los Angeles. Williams, who first toured the M.C. Gill Composites Center at the USC Viterbi School of Engineering, praised the university for setting a “high bar” as part of the first group of federal manufacturing designees. Locally, one aerospace manufacturing job supports five jobs in other parts of the economy, Williams said. And USC is one of just four universities that graduate aerospace engineers, Solis added. In order to be a globally competitive country, we have to make things here in the United States of America. “Some people are quick to write the obituary on manufacturing, but in order to be a globally competitive country, in order to remain at the top of that pile, we have to make things here in the United States of America,” Williams said. The $650 million project will house residential colleges along with retail and other support space.